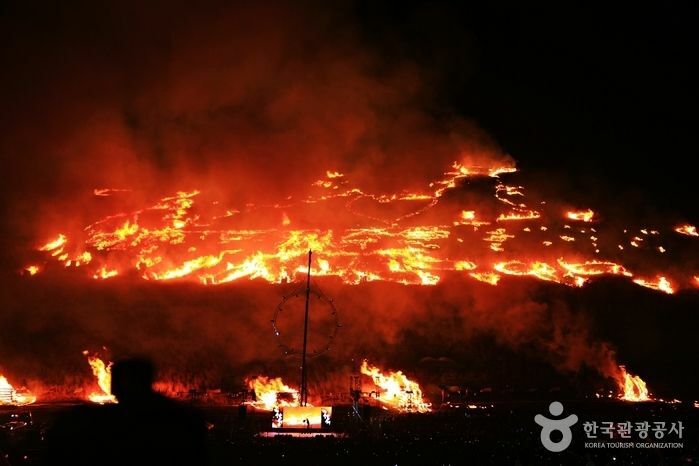 Jeju Fire Festival is held to pray for a good harvest and good health in the new year. Various folk games and hands-on programs are available, and the beautiful natural environment of Jeju Island makes the festival even more enjoyable. - Concert and firework music concert, etc. * Programs are subject to change. From Jeju International Airport, take Bus 100 to Jeju Intercity Bus Terminal. From Jeju Intercity Bus Terminal, take an intercity bus bound for Pyeonghwa-ro Road. Get off at Hwajeon Village . * Shuttle buses available during the festival period.